If you are looking for a floor that features comfort, quality, and style then consider installing carpet in your home. It continues to be one of the top choices in flooring among homeowners. What sets carpet apart from other flooring options is the unmatched style in addition to making a house feel more like a home. At Allwein Carpet One Floor & Home in Annville, PA we are your locally owned flooring retailer and carry name brand carpets as well as our own exclusive brands. Our flooring professionals can help match you to the perfect carpet for your home. Using our unique Selet-A-Floor™ system, we are able to match you to a carpet based on your lifestyle and we factor in the warranty level for you. This system helps you determine the type of carpet you need based off of your lifestyle, personal style, and warranty level you are looking for or need for your home. Our flooring professionals will work with you to find out your needs and wants in new flooring. Carpet remains one of the top choices in flooring for homeowners, and has been adapting to the ever changing wants and needs of homeowners. It can be made to handle active family lifestyles and stand up to challenges such as children and pets. Characteristics such as pile styles, fibers, and the backing all impact how your flooring will function in your home. Carpets come in stain resistant, wear resistant, and even fade resistant options. Durable carpets allow you to live your life worry free in your own home on your own floors. The type of fiber used to make a carpet can have a major role in how stain resistant and durable a carpet is. We have carpets with synthetic fibers like nylon, polyester, triexta, and olefin which are inherently durable and soft. We also offer natural carpet fibers such as wool. Wool features several amazing characteristics like being hypoallergenic and easy to clean. The most important decision is choosing the right type of carpet. There are five main types: level loop, patterned, textured, frieze, and plush. As your local neighborhood experts, we'll help you sort through the different carpet options, compare important features and styles, and we'll even come to you for an in-home consultation. 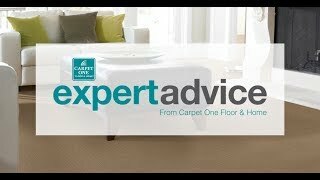 Our team of professionals will help you from product selection all the way through carpet installation. Carpet can change the way your home feels. As your local neighborhood flooring experts, we want to make sure you find the best carpet for your home. Check out our carpet selection at our showroom in Annville, PA and choose which carpet is right for your home! We offer name brands carpets you love in addition to our exclusive brands including Relax, it’s… Lees®, Tigress®, Resista® Soft Style and Innovia™ Xreme Clean. Before you begin to clean your carpet check your manufacturer’s warranty for care instructions. A properly cared for carpet can last for years in your home. Follow the link below to learn about different carpet cleaning tips. When it is time to install carpet in your home there are many different things you need to consider including the type of carpet you want. The different types of carpets can have an impact on style as well as durability. Preventing carpet fading is easier than you may think. A few quick tips can get you ahead of the curve. Learn all the tips by clicking the link below. With the rise of interest in carpet patterns, you too can feel safe knowing that the carpet pattern you choose is multi-dimensional. Learn more about carpet patterns and the trends they follow.